See, we eventually learn that Bane was trained by the League, but for some reason got himself excommunicated by Ra’s al Ghul. And with Ra’s al Ghul now out of the way, Bane somehow took command over the League. I’d say that it all makes sense later, but it really doesn’t, so far as I can tell. What’s even more baffling is that Bane has made it his mission to succeed where Ra’s failed and destroy Gotham. For obvious reasons, it’s difficult to say why he’s continuing the work of the guy who kicked him out of the League. The sound design is very good as well. 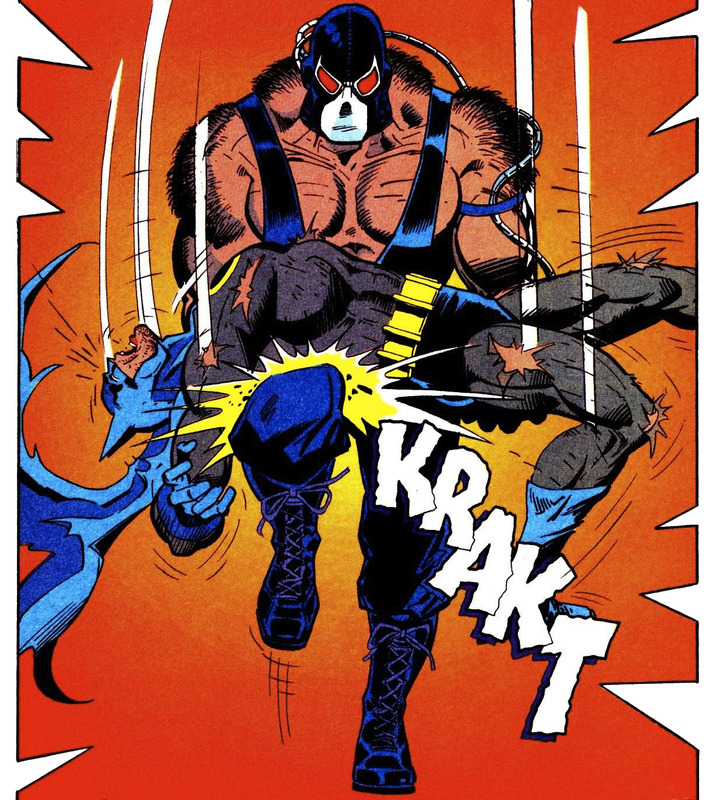 Bane sounds far more intelligible than he should, and I was blown away by the sound effects on The Bat. Last but not least, I have to give huge props to Hans Zimmer, who turns in the best score in the entire trilogy (and brother, that’s saying a lot!). I was especially fond of his theme for Bane, which is really just a short six-note rhythm. Much like his theme for Joker, Zimmer went for simplicity with Bane, and it works wonders. The theme was presented in an all-encompassing way that gave the impression of constant forward motion, which perfectly suits the character. And of course, the percussionist in me loves to hear drums used in such a forceful and prominent way. As a film in itself, The Dark Knight Rises has some pretty glaring flaws. Even with such a huge running time, the film still has storylines, themes, and characters that feel underdeveloped. That said, it’s obvious that this was never meant to be a stand-alone film. It was meant to be the conclusion of a trilogy, and the film works wonders in that regard. I was genuinely impressed with how this movie’s themes and visuals called back to the other two films in ways that enhanced the trilogy as a whole. It all feels like a single cohesive story, which is quite an accomplishment. I’m sure that effect would have been greater if Heath Ledger hadn’t died, but what can you do?